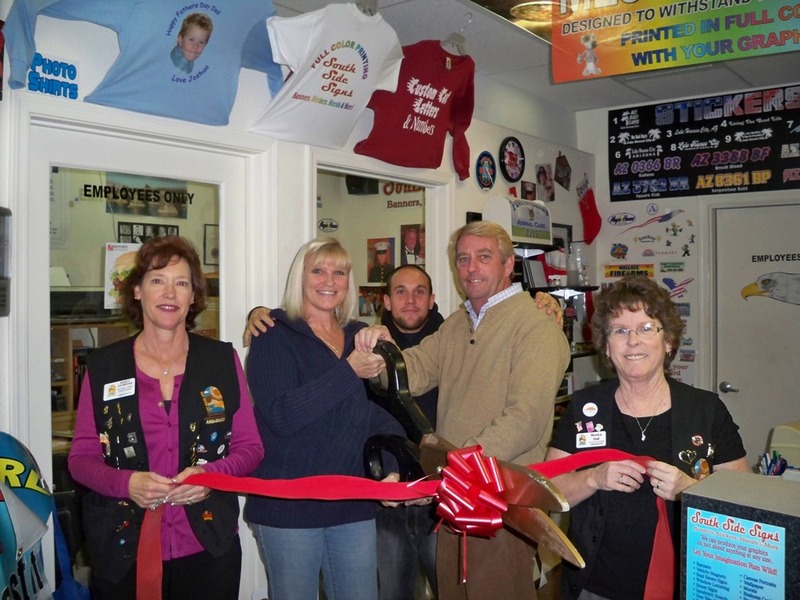 The Lake Havasu Area Chamber of Commerce Ambassadors held a ribbon cutting for South Side Signs 1st year anniversary as a member of the Chamber. Located at 3181 Maricopa Avenue, #101, South Side Signs can take care of all of your custom printing needs, large or small they do it all. They would also like to thank their valued customers. Pictured from left to right are as follows; Chamber Ambassador Nancy Leamons, Nellie McDonald, David Case, Ian McDonald and Chamber Ambassador Monica Hall. For more information, contact (928) 846-4434.